FULHAM ARE expected to step up their pursuit of Leeds United skipper Ross McCormack this week. The Londoners are believed to have tabled a £5m bid for the Scottish international late last week, which is expected to be rebuffed by United. But the Craven Cottage outfit, who are currently embarking on a major rehaul of their squad in the wake of relegation to the Championship after 13 seasons in the top-flight, are reportedly ready to return with another bid if, as expected, their initial offer is rejected. Fulham boss Felix Magath has shown the door to a number of senior players including Steve Sidwell, John-Arne Riise and John Heitinga. After getting a number of high-earners off their wage bill, Magath is now targetting some incoming activity ahead of the start of pre-season next month. 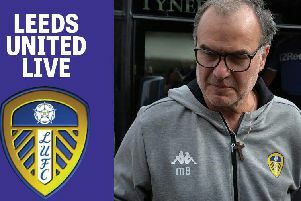 United owner Massimo Cellino, who returned to the UK last night, is now expected to address the issue regarding McCormack. Newcastle United made an enquiry about the 27-year-old Scot a few weeks ago with Norwich City, Derby County, Cardiff City having also been linked with United’s talisman. Also high on Cellino’s agenda is resolving his search for a new head coach, which has run into a third week. Having sold Cagliari last week, the Italian is now keen to resolve the head coach issue, having previously pledged that the successful candidate will be British. Reading issued a hands-off warning to Leeds regarding Dolan last week and are keen to retain the Irishman. Any compensation involved in potentially taking highly-regarded coach Dolan, under contract at the Madejski Stadium, to Elland Road, would run into six figures. Meanwhile, reports in Italy have suggested that outgoing Cagliari sporting director Nicola Salerno – tipped to link up with Cellino at Elland Road – is likely to join Palermo. Salerno’s contract at Cagliari expires on June 30 and Palermo president Maurizio Zamparini is confident he will be able to entice Salerno to the Serie A newcomers following their promotion from Serie B last term.